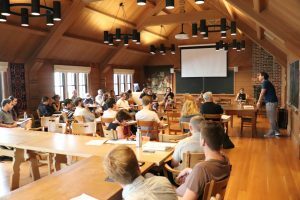 The Kierkegaard Library offers unpaid research fellowships to serious scholars for two to eight weeks in duration during the months of June and July. 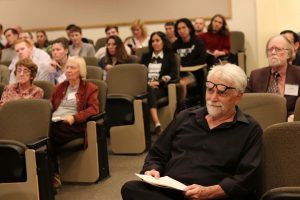 Acceptance includes extensive access to the Kierkegaard Library and the opportunity to use the other libraries and facilities of St. Olaf College. Free housing on campus is provided. Participants of the program include students at the graduate level and seasoned scholars. Advanced undergraduates are encouraged to apply to the Young Scholars Program. Housing is provided on campus, all other expenses are the responsibility of the young scholar. 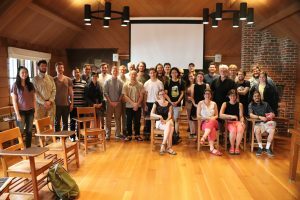 The Summer Fellows program entitles scholars to use the resources of the Kierkegaard Library while attending required activities that include: guest lectures, peer presentations, and participation in scholar seminars twice a week. The atmosphere encourages the sharing of academic thoughts and opinions in relation to Kierkegaard’s writing and ideas. The dates for the 2019 Summer Fellows Program will be June 11 to August 2. Deadline to apply is March 30th.